This content is provided by Robert J Ivanhoe. 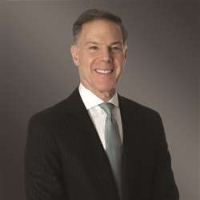 Robert J. Ivanhoe is Chair of the firm's Global Real Estate Practice and Co-Chair of the REIT Group. He concentrates his practice in sophisticated real estate structures, financings, joint ventures, workouts, restructurings, acquisitions, and dispositions of all asset classes of real estate. National Jewish Health Council of National Trustees; Industry Report; American College of Real Estate Lawyers; Urban Land Institute; The Real Estate Roundtable; Real Estate Division of Israel Bonds. JD, American University Washington College of Law; BA, The Johns Hopkins University.